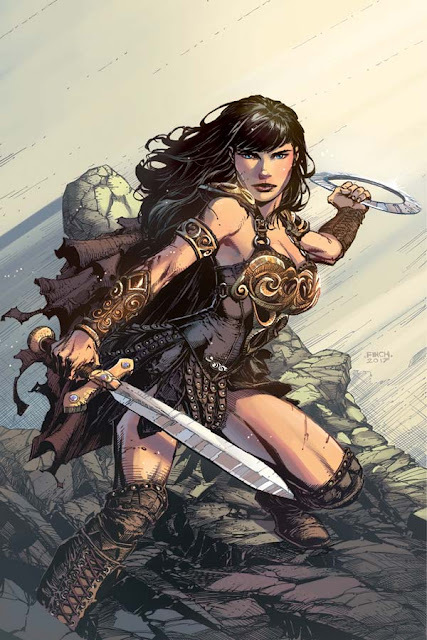 Dynamite Entertainment announces that they have signed Spanish artist Vicente Cifuentes to serve as the artist on their highly-anticipated upcoming Xena series, joining writer Meredith Finch (Wonder Woman, Rose) on the project on the heels of the New Jersey Comic Expo. Based on the strong female role-model from one of television's greatest fantasy adventure programs, the new Xena series will debut in February 2018. Artist Vicente Cifuentes says, "What can I say? When I was young I watched the Xena series, and grew up following her adventures. I´m a huge fan of fantasy and medieval stories, and Xena had it all! I am so grateful for the opportunity to work on this series, and can't wait to make Xena's comeback even stronger than ever!" Vicente Cifuentes is a Spanish cartoonist and colorist born in September 1979 in Albacete. Since childhood, he wanted to be a cartoonist. Very early, he participated in several drawing competitions, he won many and decided to embrace this as his professional career. He began by drawing illustrations for the Spanish versions of Conan and the X-Men and his first series, Ursula Aprende was published by Mega Multimedia. Cinfuentes is a man of many talents and has served as an inker, draftsman, and graphic designer for several of his projects, including Dias Malos, Despues de la Senal, and El Asesino del Kanzashi. Most recently, Cifuentes has served as penciller for Injustice II and Cover Artist for IvX. Writer Meredith Finch says, "I can think of no artist better suited than Vicente Cifuentes to collaborate with on Xena: Warrior Princess. Vicente brings a love and a passion for the character that matches my own and his raw and gritty style pairs perfectly with the rough and tough warrior princess fans want and expect to see on the page." Meredith Finch is a comic book writer, best known for her work on DC Comic's Wonder Woman in 2011. Since, she has worked with a number of top publishers and most recently launched her first creator-owned series, Rose, in 2017. Meredith will be attending this weekend's New Jersey Comic Expo, where fans can meet and talk some of the comic industry's strongest female characters and all of her work, to date and upcoming, especially Xena! Finch will also be taking questions on the new series during Dynamite's Sunday panel at 2 pm est! 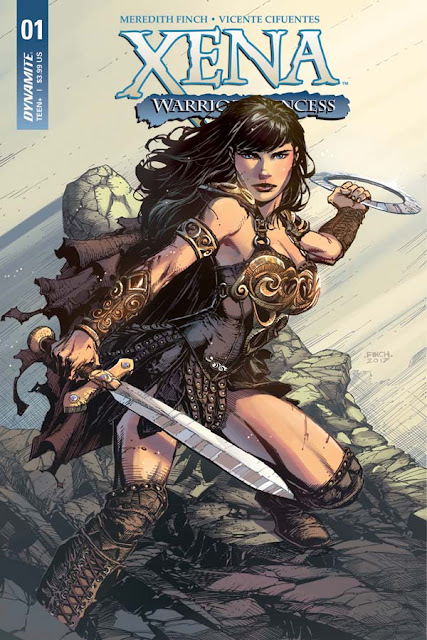 "We're proud to be the comic book home for Xena: Warrior Princess, now and into the future," says Nick Barrucci, CEO and Publisher of Dynamite. "And we're so excited to launch this new series! 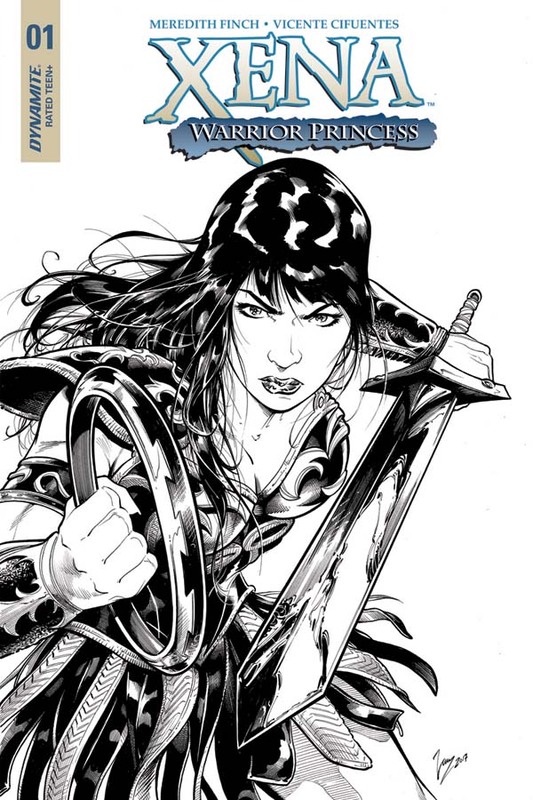 Writer Meredith Finch is the perfect fit to bring such a strong female character to the page, and with the addition of the ever-talented Vicente Cifuentes as artist, this series is sure to be a huge hit amongst Xena fans and beyond!" 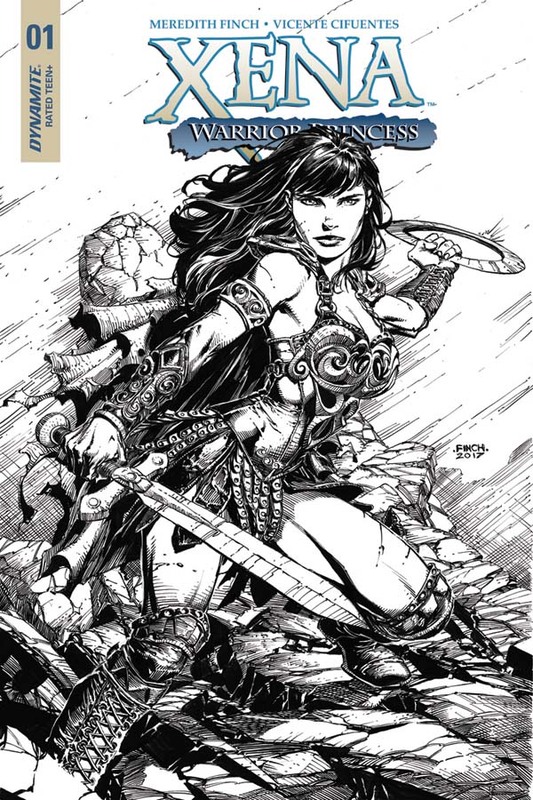 The Xena: Warrior Princess franchise first expanded into comic books in 1997 with several series published by Topps Comics, including crossovers with their Hercules: The Legendary Journeys comics. Two years later, Dark Horse acquired the rights and published a fourteen-issue series. 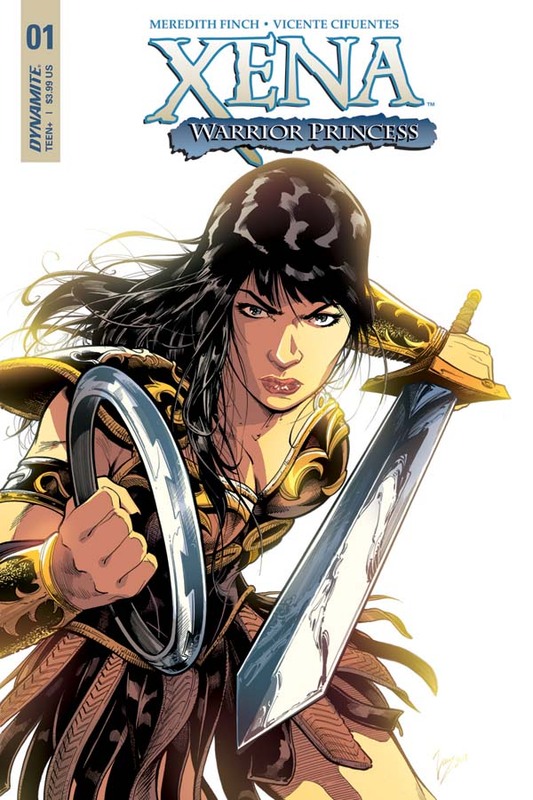 In 2006, Dynamite Entertainment acquired the rights, publishing Xena: Warrior Princess #1-4 (the "Contest of Pantheons" storyline) and a second series, subtitled Dark Xena. Also, two tongue-in-cheek crossover series materialized with Dynamite's long-running Army of Darkness series, as both Xena and AOD had roots at Renaissance Pictures and featured actor and cult film hero Bruce Campbell. In 2015, Dynamite reacquired the Xena license, publishing a new core series, an additional AOD crossover (subtitled Forever and a Day), and high-quality reprints of classic Xena comic books from the 1990s and early 2000s. Xena #1 will be solicited in Diamond Comic Distributors' December 2017 Previews catalog, the premier source of merchandise for the comic book specialty market, and slated for release in February 2018. Comic book fans are encouraged to reserve copies of Xena #1 with their local comic book retailers. Xena #1 will also be available for individual customer purchase through digital platforms courtesy of Comixology, Kindle, iBooks, Google Play, Dynamite Digital, iVerse, Madefire, and Dark Horse Digital.